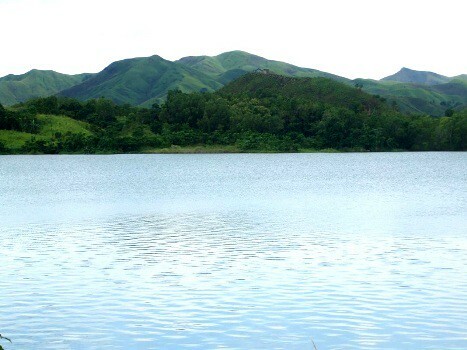 It was a spur-of-the-moment decision to go and visit the famed Bayongan Dam of San Miguel, Bohol in the Philippines.. Many of our friends have visited the place. Church workers of our parish went there on an outing and from their faces; you can really feel that they enjoyed the experience. From that time on, I resolved on my part to visit the place and see it for myself!. And the opportunity came unexpectedly! We were all at home…relaxing after attending a wedding where me, my husband and my three kids: Totong, Louie and Nelli were part of the entourage. My husband was able to get a layer of wedding cake (No Guts! No Glory!) and we were feasting on it together with my husband’s sister, Anding, and her three kids, and two other nieces: Myling and Renren.. 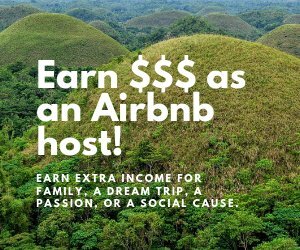 In the milieu, my husband suddenly piped in and said that he is going to his workplace in Ubay to get his salary. 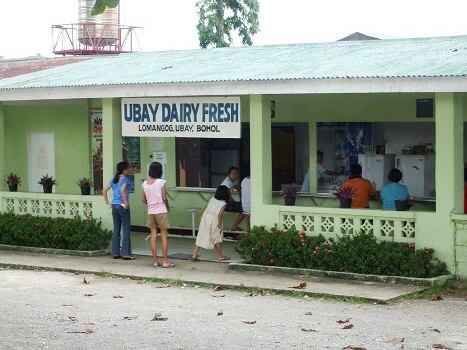 Ubay is two towns away from our place in Talibon. Maybe the spirit of the wedding was still with us all . . . excitement….joy….whatever! Everybody was of one mind. In unison we pleaded….”Can we go with you? Papa….Uncle Edgar…..pleeeease…..! Can we visit Bayongan Dam, too?”. 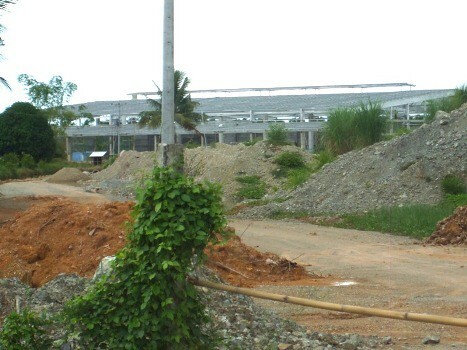 Anding, on her part stated that she had not yet seen the workplace of Edgar and Bayongan Dam. She offered to take care of the gasoline. That clinched it! Edgar had no more reasons to refuse and nodded. We all hurriedly boarded the jeep before he could change his mind. It was a sunny day and so we decided to travel top down to enjoy the breeze and the view.. In less than 30 minutes we were at Trinidad. Its junction is wide. 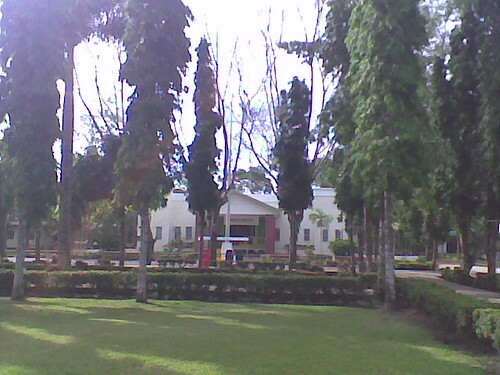 The crossroad leads to San Miguel and the one straight from Talibon leads to Ubay. 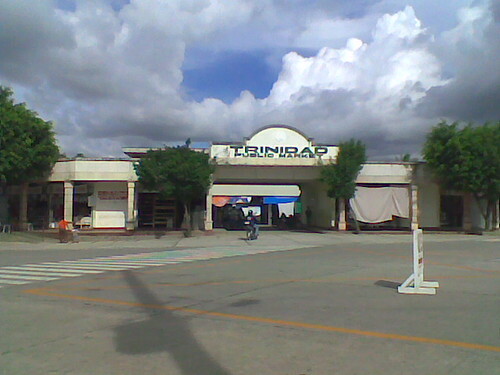 The Trinidad public market building is at the junction’s corner and across it is a bakery. .
On the other corner is the Trinidad Plaza with the municipal hall and the police precinct situated a bit inland fronted by the plaza. The wet market where fishes and meat are being sold lies next to the Ipil River. So going to Ubay, we have to cross the bridge above the river.. The road from Talibon to Ubay is fully cemented and well maintained. In between clusters of residences, travelers are treated to wide open spaces made up of rice fields and views of distant mountains. Going towards Ubay, we passed by mango groves and more rice fields. The terrain is virtually flat on both sides of the road and stretches far back..
Next stop is the Ubay Airport. This is only a few minutes from Trinidad and still far from the Poblacion of Ubay. The kids willingly posed for pictures of the airport after I told them that the same will be placed in the internet for the world to see.. It is a small airport with no buildings whatsoever. It has only a short cemented strip serving as the landing area. Only helicopters have used this landing strip and most often than not, it is used as grazing land for cows. The view is superb, though!. Before entering the town center of Ubay for a refill of gas, we passed by a Wedding Planner’s residence. We took pictures of their signboard but it did not turn out well. Maybe I can post another later. This is to show to the world that even in a small town such as Ubay, it has a Wedding Planner and the best to boot! It took charge of the church decors, gowns and reception of the wedding we attended that day. The wedding was simple yet grand and well taken cared of. Cheers to Noel and Jeanette Villanueva, the owners!. Edgar took pictures of a subdivision (very colorful!) and a skeleton of a “bodega” of Alturas. The picture was taken only a few steps away from the Villanueva’s. 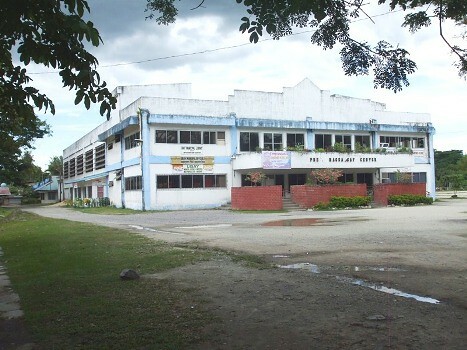 From the looks of it, the bodega would be the biggest in Bohol when it would be operational. By the way, the Plant where Edgar is working is owned by the Alturas Group of Companies..
Alturas bodega on the making…. 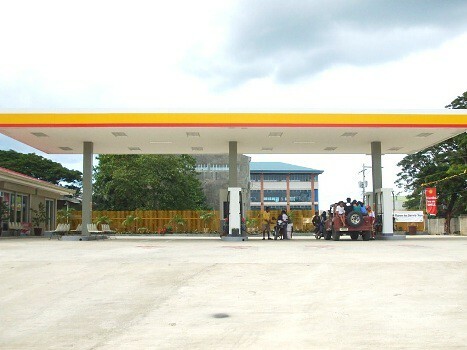 And now look at one of Ubay’s gasoline stations. It is modern and spacious. There are other gasoline stations but I think that this is the newest and the best. 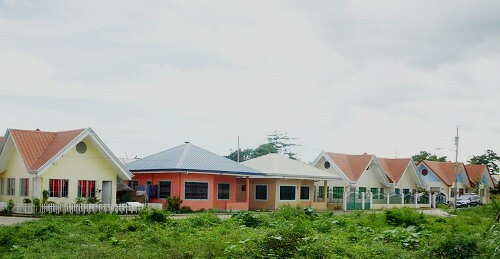 The town of Ubay is really in progress! In fact, our governor has in his mind to make Ubay the second city of Bohol! . 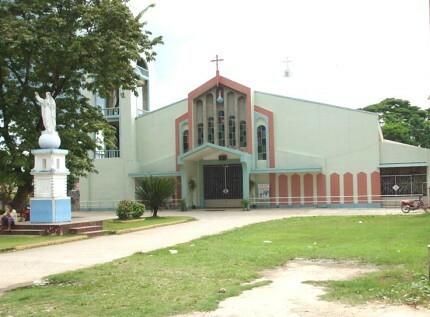 Though a bit out-of-the-way from the road that leads straight to the Alturas Plant, we went towards the Poblacion just to take pictures of the Church and the market.. It was getting late and the church was closed when we got there so we were not able to get any pictures of its interior. The Ubay market though was only a few steps away from the church so Edgar was able to get a few pics.. 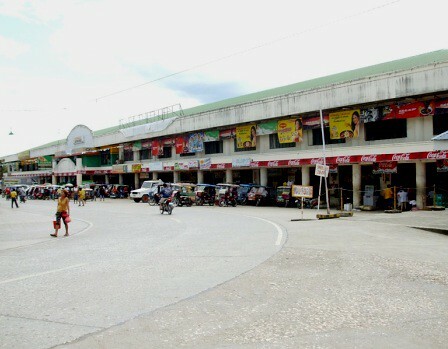 In front of the market building is a wide open space used as a parking lot for buses and other public rides plying different routes. 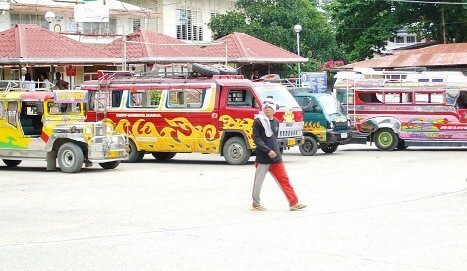 Some travel to Talibon; others ply the eastern route passing by Guindulman and on towards Jagna up to Tagbilaran City.. Finally on our way out from the Poblacion, we passed by Ubay’s municipal hall and the Pres. 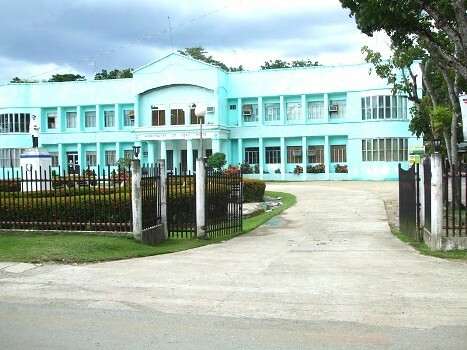 Magsaysay Center. Unfortunately, it started to drizzle then and before we reached Capayas Dam, it poured! Edgar stopped by a waiting shed and asked those at the back to take shelter but they refused. They enjoyed the rain!. 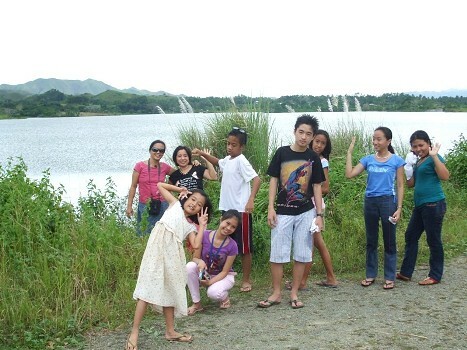 From there, we now traveled straight and stopped at the Capayas Dam and took some pictures. Thank God the rain stopped pouring then. Though wet to the core, the kids did not mind and scampered up the dam and enjoyed the view. The cool expanse of the water at the reservoir and the mountains in the background was totally breathtaking to look at!. And now we have only to travel for a few kilometers more to reach the Plant. 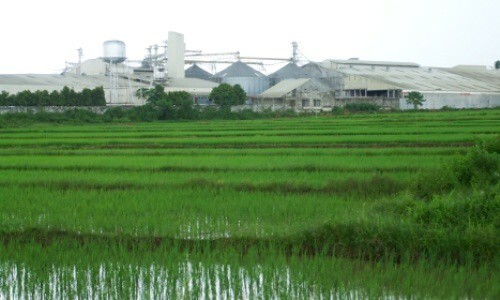 Before turning on a dirt road that leads to it, we dropped by the Ubay Agri Park and took some pics. 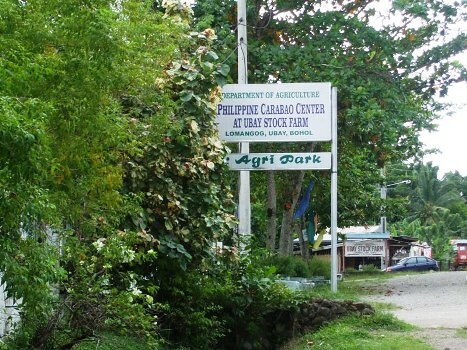 The kids clamored for ice cream which was one of the products that the Park produces from carabao milk, but unfortunately at that time, there was none available. in quest for ice cream….. Nearing the Plant, we have to content ourselves with taking pictures of it from afar. Taking of pictures inside the complex is not allowed. It took only a few minutes for Edgar to get his salary yet in spite of that the kids were impatient….itching to go. Finally …..to Bayongan Dam!